dompeilee Govt does not even support...declare 1 trillion contract also no use lah! No $ to pay mah! davidkkw79 Malaysia just could happens any thing....it could be just a joke. SharehlderOppression The thing that is worrying is Gobind Singh's non-appearance at the Enhanced Malaysia International Internet Gateway (EM-IIG) High-Speed Broadband project launch in Shah Alam especially as the Minister of Communications & Multimedia. But as far as Msniaga is concerned they will proceed with the job as per terms of contract. Unless Xiddig goes under halfway from lack of political/financial support or from poor business sense. dompeilee Very wierd price action observerd...Q buy 54 lots @ 1.7, then suddenly 11 lots selling @ 1.7. Likely manipulated stock. speakup did u know PNB is the major shareholder of both HTPADU & MSNIAGA? Yes! PNB owns 24% of HTPADU & 20% of MSNIAGA! SharehlderOppression The latest statement by Gobind's department is that the EM-IIG developed by Xiddig is a commercial endeavour, and does not involve MCMC. Or worst case close shop. goldenluck16 Sell, sell before it is too late. dompeilee 1,600,000 shares to T + 3 on Tuesday...gap-covering theory means it could drop to 1.50! Yippy68 the job is not 100% in hand, watch it, make enough run. let other face the risk. bye bye. qqq3 brother of that LTAT guy....sure u want to play? Yippy68 this round, i bought, i sold, make enough for CNY. last holding of this counter is 2014 with capitol gain p[us dividend few yrs of 21%, i profited >500k.. only fyi. dompeilee 2day T + 4 of 1.6 mil shares...the highest volume ever last Wed! Then distribute all the way down. Yippy68 Calvin, you are right. Pumped and dumped...kesian those been trapped...Bursa is truly a crocodile pond..
apolloang if not real and tipu how? 1.20? pang72 real stupid..mesniage and htpadu!! Fah Choy Yap The Group recorded a revenue of RM180.9 million for the year ended 2018, a reduction of 20.0% compared to the corresponding period in 2017 of RM226.3 million. A loss before tax of RM7.9 million was recorded in the year of 2018, compared to a profit before tax of RM14.6 million in the previous corresponding period. The reported performance includes a completed project for which the full cost has been taken up; the associated revenue of RM18.9 million has not been recognised in accordance with MFRS 15 which came into effect in 2018. This revenue will be reflected in 2019 results when the recognition criteria is met. For the quarter ended 31 December 2018, the Group recorded a revenue of RM49.7 million, compared to RM53.2 million in the preceding quarter. The Group recorded a loss before tax of RM10.9 million in the current quarter, compared to a profit of RM1.7 million in the preceding quarter. As reported in Note B1, the current quarter performance includes a completed project for which the full cost has been taken up and the associated revenue of RM18.9 million has not been recognised. Fah Choy Yap so, next quarter and year report at least has rm 18000000 profit in hand. digi_three waaa so they really got the "1.9billion" contract lorr! it is now confirmed!! tomolo buy buy buy!!! EAR­LIER this week, Mesini­aga Bhd, the IT com­pany with a niche in a range of telecom­mu­ni­ca­tions ser­vices, re­vised its con­tract value for a high-speed broad­band fa­cil­i­ties job first an­nounced in Jan­uary. Mesini­aga stated that the job from Xid­dig Cel­lu­lar Com­mu­ni­ca­tions Sdn Bhd for the com­mis­sion­ing and dis­tri­bu­tion of a high-speed broad­band project val­ued at RM1.9bil is a “ceil­ing value”. The value of the con­tract may be re­vised and sub­ject to fi­nal­i­sa­tion of the scope of ser­vice agree­ment to be con­cluded be­tween Mesini­aga and Xid­dig. Mesini­aga also stated that the project time­line would be ex­tended to March 2021 sub­ject to site readi­ness. an­nounce­ment by Mesini­aga in Jan­uary where there was more cer­tainty of the project. In that an­nounce­ment, Mesini­aga stated that it had ac­cepted a let­ter of ac­cep­tance on the RM1.9bil con­tract and would be ef­fec­tive im­me­di­ately and go on un­til March 2020. The risk lev­els in re­la­tion to the con­tract was min­i­mal and that the project would have pos­i­tive earn­ings to­wards the com­pany. Mesini­aga’s lat­est an­nounce­ment is easy to fathom as a lot has tran­spired in re­la­tion to the project. The gov­ern­ment has dis­tanced it­self from the project which may cast doubts on the abil­ity of Xid­dig to see through the project, in­clud­ing se­cur­ing fi­nanc­ing. 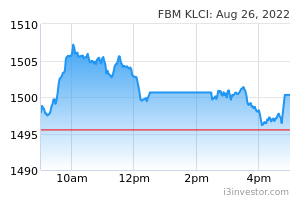 The shares of the nor­mally mun­dane Mesini­aga shot up by more than 40% in Jan­uary when news of the RM1.9bil con­tract value was made pub­lic. Sen­ti­ments on the stock re­ceived a jolt af­ter gov­ern­ment of­fi­cials dis­tanced them­selves from the project. How­ever the shares of Mesini­aga did not re­trace back to its orig­i­nal price be­fore the an­nounce­ment was made.In­vestors may still be op­ti­mistic on Mesini­aga gain­ing sub­stan­tially from the project awarded by Xid­dig. But the lat­est an­nounce­ment by the com­pany cer­tainly gives a more re­al­is­tic pic­ture of the true state of the job and con­tract value. OrlandoOIL Is it a gomen project?